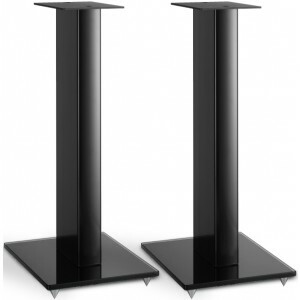 Dali Connect Stand M-600 is truly an elegant solution forming the perfect platform for your stand mount speaker. Grounded in a sturdy glass plate that adds gravity, the specially designed extruded stand pole terminates in a painted iron top plate. The 12mm thick silk matte painted glass plate is designed to add stability and heft to the stand. The adjustable spikes make it easy to level out the stand even in the thick carpet. If using the Connect Stand M-600 on a wood or tile floor, the included soft rubber bumpers ensure the perfect decoupling. The extruded aluminium pole contains internal bracing, which adds stability and helps break-up internal standing waves. This makes the entire stand strong, rigid and grounded. 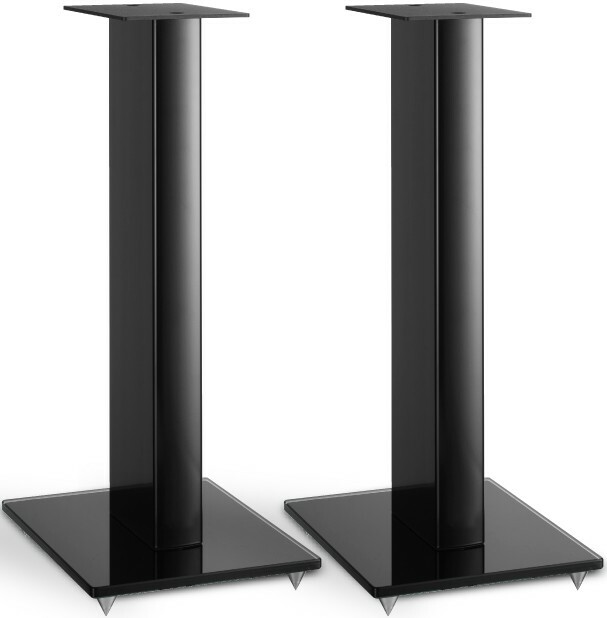 Keeping it resonance-free and forming the perfect platform for your speaker. The stand pole also contains a cable management system. The 20mm entry hole in the centre of the glass plate allows access to the stand pole and a terminating hole right below the top plate. This allows you to fully hide the speaker cable from view. 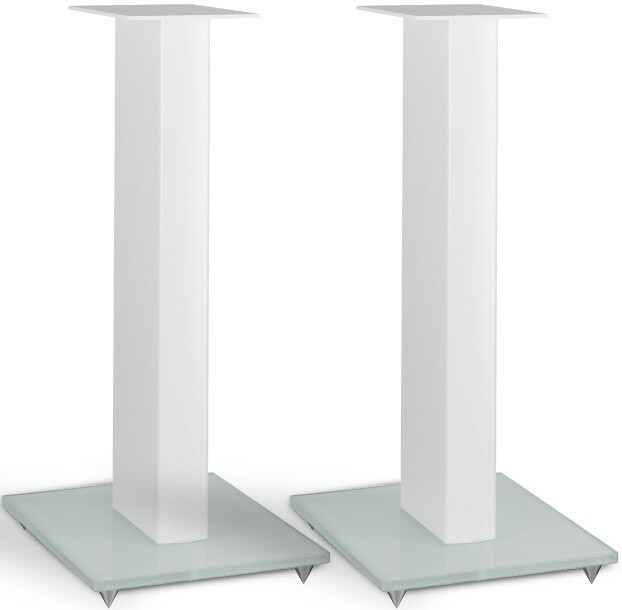 The total height of the Connect Stand M-600, including spikes, is 615mm bringing your stand mount speaker perfectly in line with ear height when seated. Connect Stand M-600 is available in Black and White. Additionally, it comes logo free making it perfect for any speaker brand. The Dali logos are included in the box.